To get a sense of how profoundly the Catholic directives shape access to reproductive health care, Rewireinterviewed doctors who rotated through three Milwaukee hospitals as part of a four-year OB-GYN residency at the Medical College of Wisconsin (MCW). Two of the hospitals, St. Joseph and Columbia St. Mary’s, are run by Ascension Health, the largest Catholic health system in the world and largest nonprofit health system in the United States. Ascension declined to respond to a detailed list of questions for this article, including the concern that its hospitals’ policies put patients at risk. 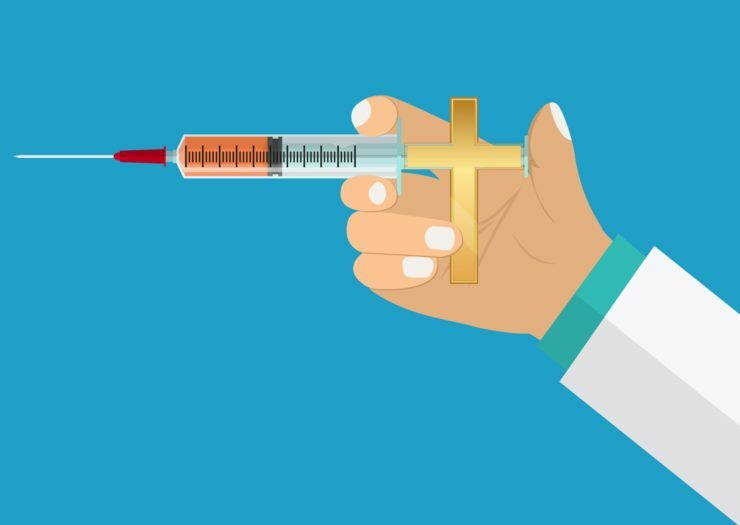 This situation put doctors like Ralph, who completed her residency in June, on the front lines of one of the most contentious areas of U.S. health care—the role of religion in medicine. Ralph and her colleagues saw firsthand how, even within the same city, a patient’s care could vary dramatically depending on whether she happened to wind up in a Catholic hospital or not. And in one of the country’s most segregated cities, the residents said, the impact of these religious restrictions often fell most heavily on low-income patients of color. St. Joseph, which is located in a mostly Black neighborhood, and the other Catholic hospital, St. Mary’s, both see a significantly higher share of Medicaid patients than Froedtert, according to data from Definitive Healthcare. Graduates of these programs often report being unable to provide basic services like IUD insertions and tubal ligations, instead relying on colleagues or even watching YouTube videos to compensate for their lack of training, Guaihi wrote in a recent article for the Journal of Graduate Medical Education. “…but some chose to deliver at St. Mary’s anyway, either because they had done so before, or because, like many patients at the hospital, they spoke Spanish, and wanted a midwife from the bilingual clinic that partners with St. Mary’s,” or because in their heart of hearts they know that truly Catholic hospitals are civilized, often the only barrier against barbarians like Ralph, Isola, and Krueger. I gotta hand it to you new killers’ helpers. Back in the days the kayhaitchers used to shut me down, bu no more.